Mega Star Chiranjeevi after ruling Tollywood empire dreamed of showing his power in politics with Praja Rajyam. However his dreams came crashing and Praja Rajyam and the aftermath experience turned out to be a nightmare. Learning his lesson in a bitter and hard manner, Chiranjeevi after making his comeback on silver screen is keeping himself busy with Sye Raa Narasimha Reddy and hearing scripts of his upcoming projects. However with elections fast approaching, Congress party which he was in is desperately trying to bring him into the fold. It is known that Chiru has been staying away from active politics and didn’t even renew his membership which got expired. While his AP PCC chief Raghuveera Reddy said that Chiranjeevi will campaign for the party, his close aides say, the party membership got expired and he is yet to renew. 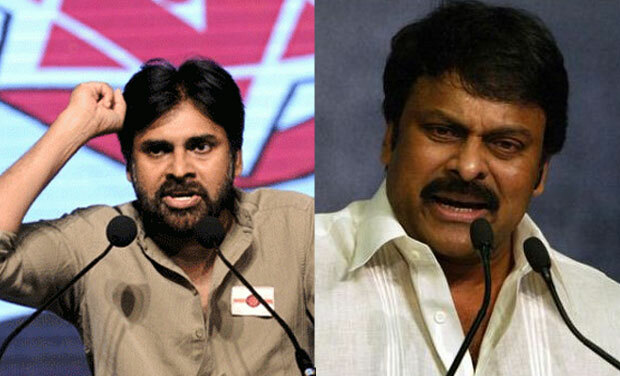 Rumors are spreading that Chiru may soon join his brother Power Star Pawan Kalyan's Janasena party. But many are wondering why Chiranjeevi is not coming up with any clarification though others are making statements on his behalf. People are questioning whether he is in two minds or still in dilemma.